Has your business gone through some significant changes lately? Maybe you’ve merged with another and changed your name. Perhaps you feel that your existing logo doesn’t adequately convey what you’re all about or it’s simply a bit old fashioned-looking. No matter the reason, rebranding your business is a big decision. The choices you make; from colours and fonts, right through to mission statement and value proposition, will have serious repercussions if you miss the mark. Rebrands aren’t simply for marking a big change; this kind of transformation can equally be effective should you wish to expand into global markets, strive for competitor advantage or to just create an impact. That’s why it’s important to take a considered and informed approach. There are a great many things that you need to consider, so where would you even start? First, decide the scale of your rebrand: will you just ‘jazz up’ your logo or are you going the whole hog? Once that’s been determined, you can start to focus on your core messaging – what is it you want the new brand image to say? It’s generally advisable to carry out some research. You want to establish what might appeal to your current and prospective customers – and vitally, what won’t. If we can give you one piece of advice, it’s to consult the professionals from the start. They’re the ones with experience who can highlight the wider implications associated with logo design or the creation of a totally new website. They’re the ones that will be able to initiate any services you’ll need to make people aware of that rebrand – such as email marketing. And they’re the ones who will know what won’t work, and talk you out of using red text on a blue background! A good rebrand can absolutely turn your fortunes around, changing public perception and capturing a new audience. 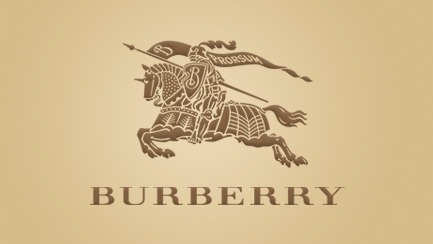 Take the example of Burberry, which went from the brand of choice for football hooligans, back to its original state as a luxury product line, owing to some clever product redesigns and high-profile celebrity endorsements. Ultimately, it can have a huge impact – raising awareness, enabling growth and strengthening your brand’s market position for the future. That’s why you want to rebrand your business, yes?